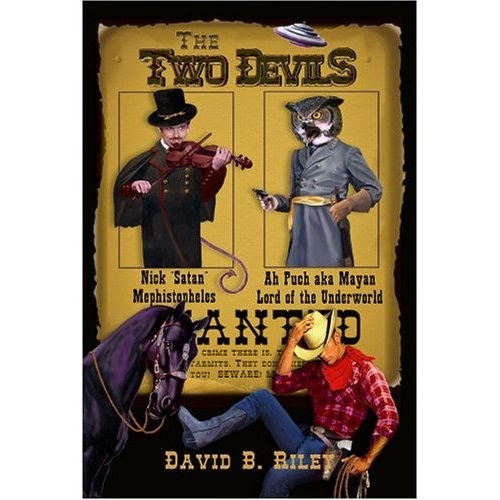 Way back when, my first foray into writing weird western books was a book called The Two Devils. 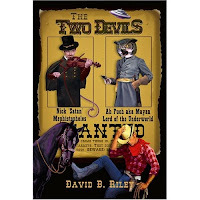 There are a limited number of print copies of the original book available through Hadrosaur Productions at hadrosaur.com . And they're on sale for $7.50 each. This is the first look at the angel Mabel, and a few other angels, which I mentioned in yesterday's posting. This is a very good deal while supplies last. This book is out of print, so new copies of it are getting hard to find. This is one heck of a deal. Get yourself primed for the release of Fallen Angel. The Denver Post called this book "irresistible as a bowl of popcorn."